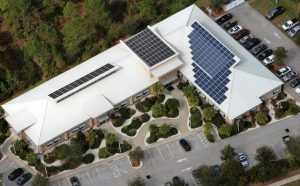 Solar Array | Willis A. Smith Construction, Inc. 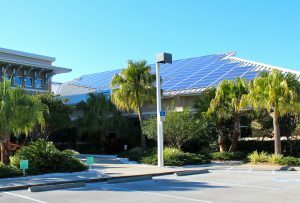 Phase I: The first solar photovoltaic array installed at the Willis A. Smith headquarters building consists of sixty American-made, Evergreen Solar Inc. silicon solar panels. 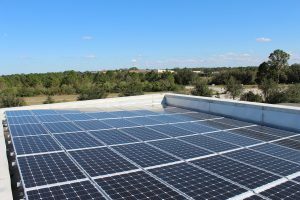 The total power of the solar array is 12.3 kilowatts, and produces an estimated 20,000 kilowatt hours of electricity per year. Phase II: In January of 2014, we installed an additional 47.2 kilowatts using two different panel types – one to match the look of the original array and the other to maximize overall production. The solar panels attach to the new Willis A. Smith headquarters roof using S-5 Systems Inc.’s standing seam panel clamps. These clamps eliminate the need to penetrate the roof system to attach the solar array, and ensure a totally secure, weatherproof, easy to maintain, long-life installation. The S-5 clamp system is available for a wide variety of metal roof systems, including all Butler Building roofs. Willis Smith is now net zero energy, with total power of 59.5 kilowatts provided by the sun. About Willis A. Smith Construction, Inc.
Willis A. Smith Construction, Inc. has been serving Southwest Florida since 1972 and is the leader in sustainable construction. The company boasts 12 LEED® AP’s on staff, and is committed to constructing high performance structures. 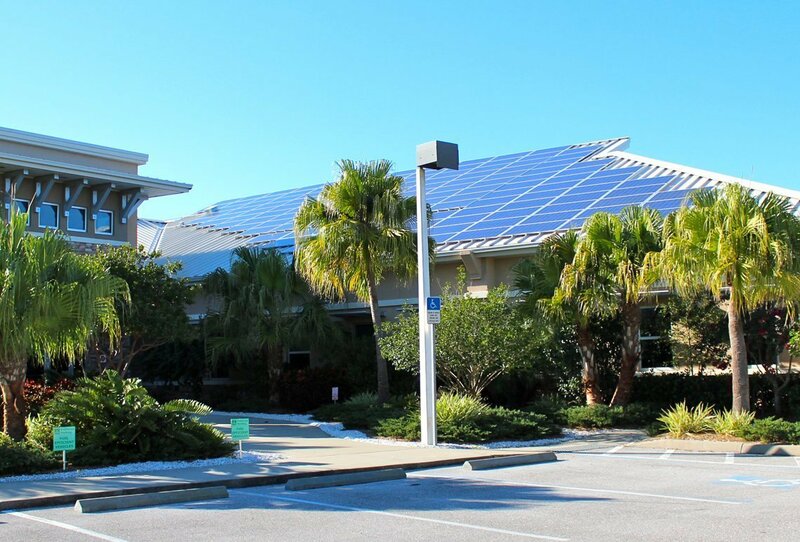 Their headquarters in Lakewood Ranch is a masterpiece of eco-friendly design and construction, and has been awarded LEED® Gold Certification.